On 1 June, SAMSON Materials Handling, formerly B&W Mechanical Handling Ltd., appointed Malcolm Youll as new Managing Director. 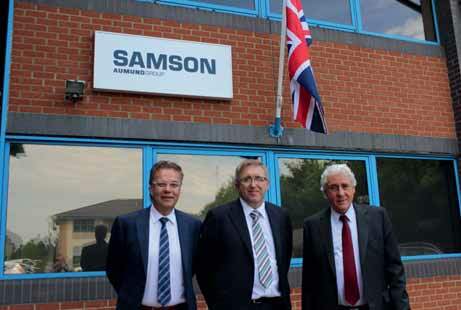 He will be based at the SAMSON Office in Ely, Cambridgeshire, UK. Youll brings vast international experience of the capital equipment industry and complex engineered solutions having worked for CNH, CAT, and Cargotec. His wide range of experience in the field of mining and ports & terminals will expand the SAMSON Materials Handling activities in the various markets worldwide. Youll holds degrees in Manufacturing, Management and Technology. Material Handling business has fantastic products, an impressive customer base and very knowledgeable and talented people. I’m looking forward to leading this business and delivering the products, innovation and support that our customers need,” says Youll.